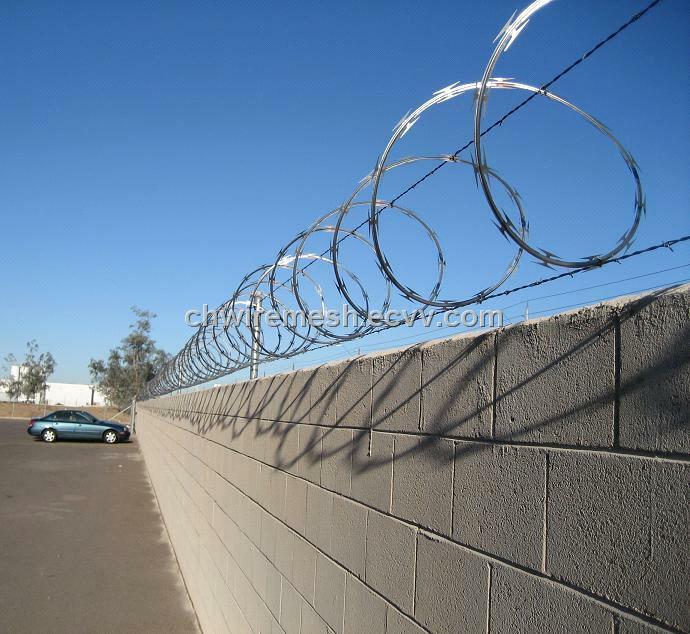 Razor wire can be used to add a level of security to both commercial and residential properties. 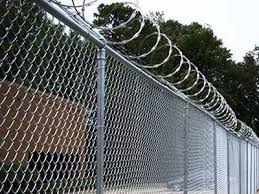 At Razor Fencing, we proudly serve the different locations in all over the US, with the highest-quality razor wire fencing options. 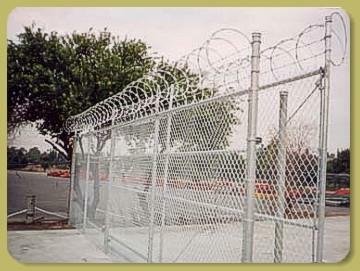 Our company is the leading razor wire fence suppliers in US. And currently, we are offering Razor Barbed Wire for Sale. Our razor wire products are made in the United States – NOT in China -- and they exceed Federal and state industrial specifications for quality. The enclosed spring steel core makes them harder to cut or bend, bringing unrivaled security to properties like equipment yards, construction sites, and military installations. 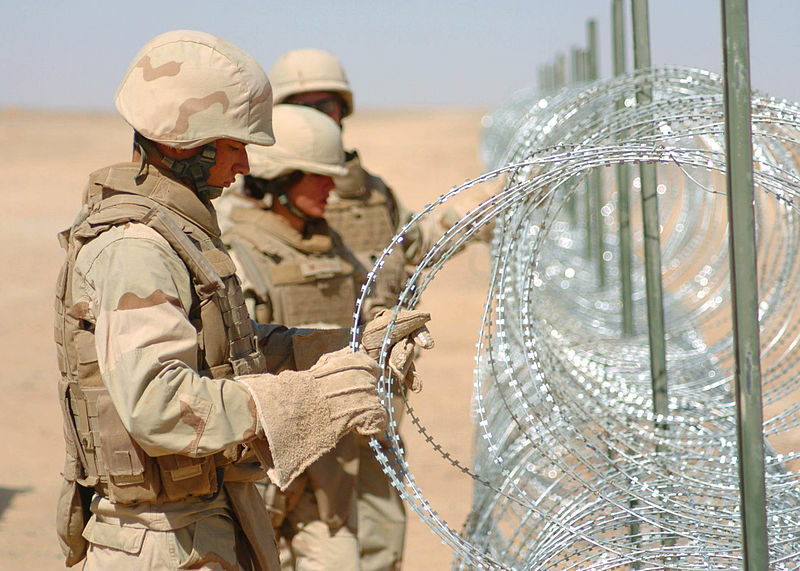 Our razor barbed wire fence products are superior to old-fashioned barbed wire products, with tough construction and long cutting edges to keep out unwanted personnel. 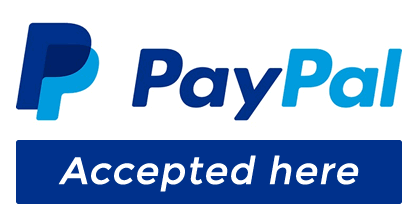 Ordering our razor wire products couldn’t be easier, and we are ready to ship for free anywhere in the United States. Rolls are 50 feet in length with an 18” diameter, either in standard or short-blade concertina styles. Clip-maze razor wire coils come in 24”, 30”, or 36”. 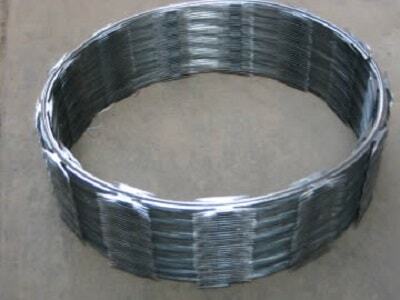 We can handle big orders also as we have high barb wire fencing supplies. Along with this, we also offer Barbed Wire Installation services. Razor Fencing is your unbeatable choice for service and selection. We also offer a range of other products, including windscreens for privacy and protection and bird spike products. Call us today or contact us using our online form for a fast and free quote.